THE QUEEN OF ALL INSTRUMENTS. The Lute wore this title proudly in her bloom which roughly span the period from 1500 to 1780. The lute enjoyed a period of unequaled popularity, virtually everyone played it, some of the most important composers wrote their beautiful music for it, poets lauded their (or someone else’s) loved ones to its accompaniment, scientists discussed the aestethical proportions and the technical aspects of its sound and artists pictured it in all possible situations. To us of course the truly gigantic surviving repertoire of this illustrious instrument is of prime importance. Just like the pianoforte in the 19th century, the lute was employed for all kinds of music. 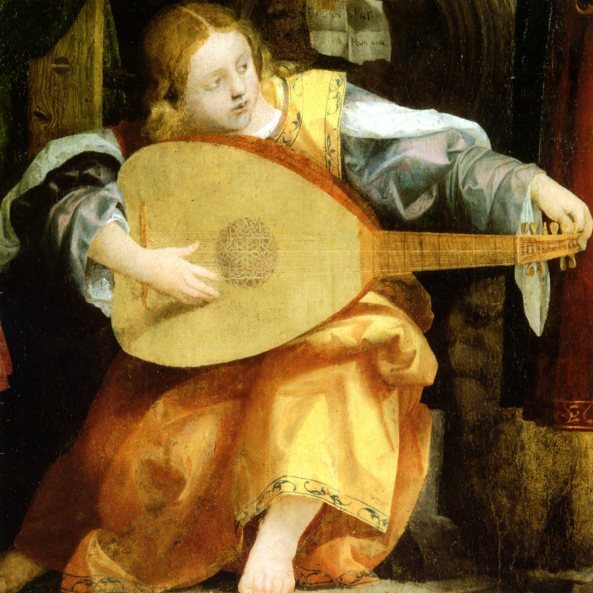 In the 16th century a guitar-like instrument was also played in Spain and some parts of Italy. This was the Vihuela or Viola de mano, with a repertoire in all aspects comparable to that of the lute. The music for all these instruments was notated in so called tablature, a notational system that indicated the strings to be plucked and the left hand positions on the fingerboard. From about 1700 the popularityof the lute gradually declined so that in about 1780 the lute was considered to be a thing of the past untill at the beginning of the last century a small number of pioneers started to show a renewed interest in this instrument. Franz Giesbert, Hans Neeman, Arnold Dolmetsch, Hermann Leeb, Walter Gerwig, Michel Podolski, Joseph Iadone, Susanne Bloch and Diana Poulton to name a few. They paved the way for players like Julian Bream, Bob Spencer and Konrad Ragossnig, who enjoyed success in the 2nd half of the century. Eugen Müller-Dombois and Michael Schäffer, both pupils of Walter Gerwig, started to investigate the old ways of playing and building lutes. They taught respectively in the Scola Cantorum Basiliensis and the Musikhochschule in Cologne a large number of players like Toyohiko Satoh, Anthony Bailes, Paul O’Dette, Robby Faverey, Nigel North, Hopkinson Smith and Konrad Junghähnel. In the Netherlands Gusta Goldschmidt has played an important part in the revival of the lute. Today every self respecting player uses instruments built according to historical principals. The techniques and interpretations used for reviving its music are based upon historical research.